Like previous years, we have gathered donations through the cooperation of our event vendors and the selling of charity goods to help out our brothers and sisters affected by the natural disasters of March 11, 2011. We have completed sending the donations to Olive Leafs, the volunteer group we have been blessed to connect with. Acrylic Scrub sales 90,000 yen. 1% of the vending fees gathered was donated with vendors approval. Sales from the 1,500 toy capsules sold containing originally made pins were donated. 10 yen for every litre of used oil brought to Itadaki was donated from Shizuoka Petrochemistry. 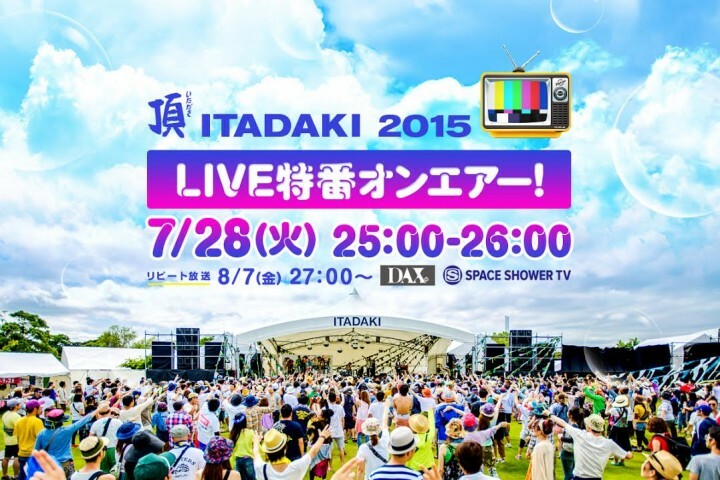 Sales from Itadaki’s original stickers and T-shirts. Also, we have sold over 300 of the hand made acrylic dish scrubs that the beautiful ladies from Yamada-cho in Iwate Prefecture make for donation purposes as a yearly tradition. They have raised 90,000 yen alone. For all of you who made purchases, cooperated with vendor donations, and helped the fund raising booth out as a volunteer staff team member, we thank you from the bottom of our hearts. Your generosity has blown us away again this year. The Olive leafs have also reported the cooperative efforts on their blog! Despite 4 years having passed since the disasters, there are still people living in temporary housing. As tragedies brought about from the disasters continue to increase, the Olive Leafs have been putting their time and energy into care for easing the hearts of others in need. The creation and selling of the acrylic scrubs is just one part of their work. 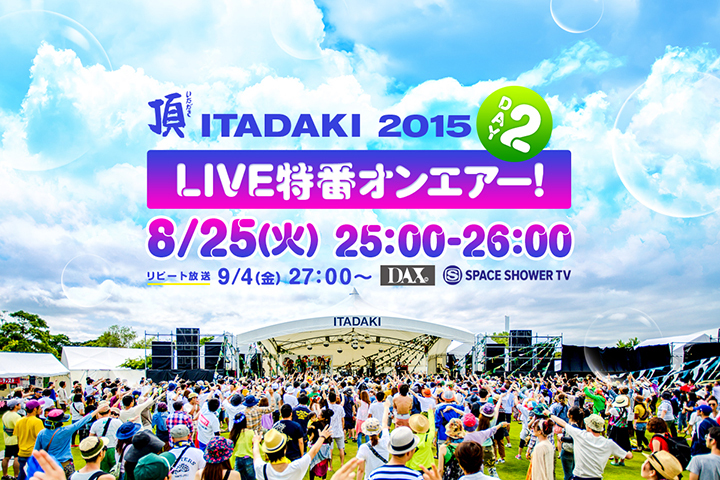 Donations gathered through Itadaki will be used as funds for their soul work as well. After sincerely taking to heart the weight of what happened that day, we have thought long and hard about what we can do on our part, about how we can contribute sustainably. 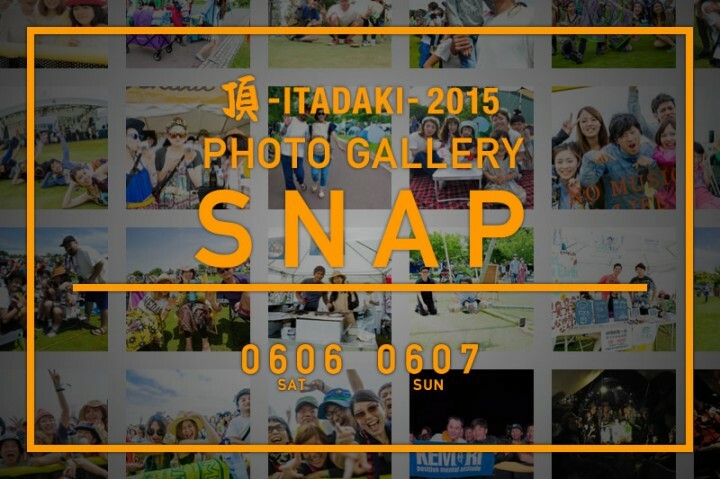 Needless to say we will be continuing the fundraiser next year at 頂 -ITADAKI- 2016. 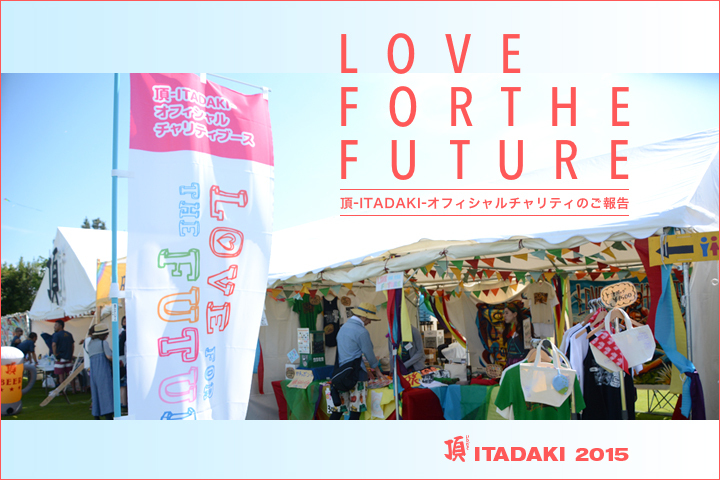 Believing in the power of music, we at 頂 -ITADAKI-, a place where people are moved and feelings of kindness gather, we would like to continue the LOVE FOR THE FUTURE program from here on as well. Ladies and Gentlemen, sorry to have kept you waiting! 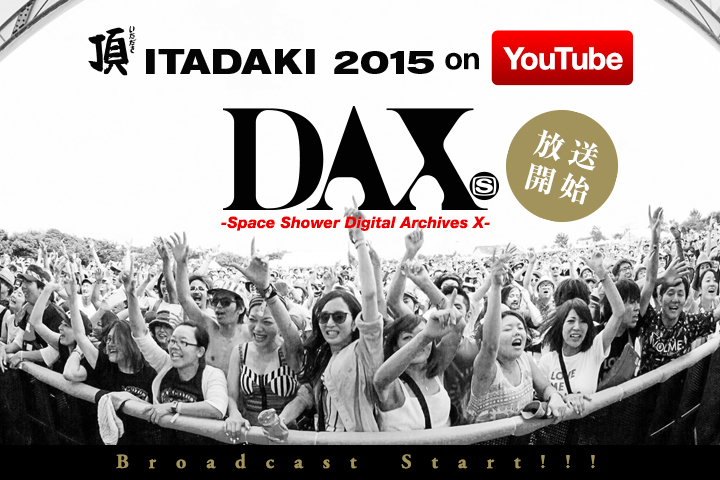 We are releasing the footage of 頂 -ITADAKI- 2015 that was broadcasted on Space Shower DAX and making it viewable on youtube. Let’s take one more look at the most amazing two days of music, sun, wind and green. Even if you didn’t go, it’s really worth the watch! Check it out! Let’s take a look at the fun we had this year.